Fall Picture Day is Coming! 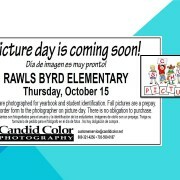 https://wjccschools.org/ll/wp-content/uploads/sites/12/2015/09/School-Picture-Day-2015.jpg 720 960 Karen Swann http://wjccschools.org/rb/wp-content/uploads/sites/12/2014/05/logo.png Karen Swann2015-09-29 23:16:122015-10-30 13:25:52Fall Picture Day is Coming! 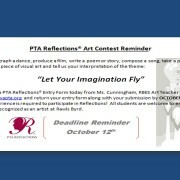 https://wjccschools.org/ll/wp-content/uploads/sites/12/2015/09/PTA-Reflections-Art-Contest.jpg 720 960 Karen Swann http://wjccschools.org/rb/wp-content/uploads/sites/12/2014/05/logo.png Karen Swann2015-09-29 23:05:452015-10-30 13:26:17Don't forget PTA Reflections! 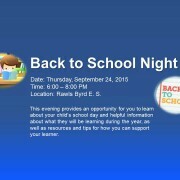 Join Us for Back to School Night! 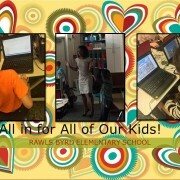 https://wjccschools.org/ll/wp-content/uploads/sites/12/2015/09/BTSN-9.16.151.jpg 720 960 Karen Swann http://wjccschools.org/rb/wp-content/uploads/sites/12/2014/05/logo.png Karen Swann2015-09-16 18:17:042015-10-04 12:51:33Join Us for Back to School Night! WILLIAMSBURG – Viky Pedigo, a Williamsburg area public school teacher and librarian for 50 years, died peacefully in Williamsburg on Sept. 6. She was 80. Her career in Williamsburg started in 1959 and, except for a break when her son was born, continued until early this summer. Viky was born on the winter solstice, Dec. 21, 1934, in Louisville, Kentucky, to Russell and Ruth Fable. She earned a bachelor’s degree in education from Butler University and a master’s from Emory University. When she moved to Williamsburg to teach at Matthew Whaley Elementary School, she also worked as a hostess for Colonial Williamsburg at the Capitol and the Governor’s Place. 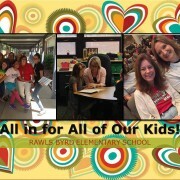 She later taught at Rawls Byrd Elementary School, where she was one of the original “Rawls Byrders,” a veritable hall of fame of the best and brightest educators of the day. Viky also led efforts to improve minority achievement in education. She taught children’s literature classes at The College of William and Mary and also taught evening classes for adults seeking GED and English-as-a-second-language diplomas. 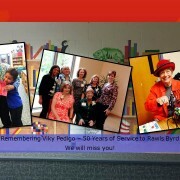 Viky spent her final years as a media specialist surrounded by children and books in her beloved Rawls Byrd library. Her professional organizations included Phi Delta Kappa and Delta Delta Gamma. Viky loved teaching students of all ages and felt her greatest career achievement was inspiring children to love books. “Reading is a building block of education – one of the most important ones,” she said in a Virginia Gazette interview in March. She is survived by her son, Lance Pedigo of Williamsburg, and her brothers, Larry Fable of Somers, New York, and Robert Fable of Oceanside, California. A Celebration of Life, open to the public, will take place Oct. 25 at 1 p.m. at the Williamsburg Woodlands Cascades. Donations made be sent to the Viky Pedigo Endowment Fund at the Williamsburg Regional Library, 515 Scotland St., Williamsburg, VA, 23185. 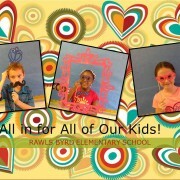 Welcome to Rawls Byrd E. S.
https://wjccschools.org/ll/wp-content/uploads/sites/12/2015/09/Back-to-School-7.jpg 720 960 Karen Swann http://wjccschools.org/rb/wp-content/uploads/sites/12/2014/05/logo.png Karen Swann2015-09-12 10:55:412015-09-12 10:55:41Welcome to Rawls Byrd E. S.
https://wjccschools.org/ll/wp-content/uploads/sites/12/2015/09/Back-to-School-6.jpg 720 960 Karen Swann http://wjccschools.org/rb/wp-content/uploads/sites/12/2014/05/logo.png Karen Swann2015-09-12 10:49:222015-09-12 10:49:22Welcome to Rawls Byrd E. S.
Welcome to Rawls Byrd E. S.! 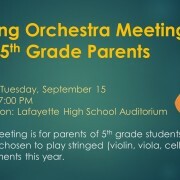 https://wjccschools.org/ll/wp-content/uploads/sites/12/2015/09/Back-to-School-5.jpg 720 960 Karen Swann http://wjccschools.org/rb/wp-content/uploads/sites/12/2014/05/logo.png Karen Swann2015-09-12 10:37:482015-09-12 10:37:48Welcome to Rawls Byrd E. S.!